With a strong background in ballet, Laura also has a deep interest in the dances of the Caucasus and Central Asian. 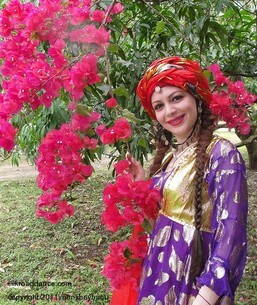 She studied Azerbaijani dance while living in Baku. She participated in the First Annual Conference on Iranian Dance. Laura traveled to Singapore with Silk Road Dance Company to perform at the Asian Civilisations Museum exhibit of "Treasures of the Aga Khan." She is a featured soloist in the ensemble's concert work Shahnameh: Adventures from the Persian Book of Kings. Courtney Smothers has always loved dance, but began serious study and performance only as an adult after earning undergraduate degrees in Russian language and economics and beginning a career as an attorney. Although she initially planned to take just one or two dance classes, she fell under the spell of the traditions of Central Asia and the Middle East. Courtney has complemented her dance studies with travel to Kyrgyzstan, Russia, Tajikistan, Mongolia and Uzbekistan. She works for the government on international trade issues. Joanne was born in Washington, DC and grew up in Maryland. She had dance and theater training as a child and later studied ballet, jazz, and modern dance in college.Her teachers include Laurel Victoria Gray, Artemis, and Autumn Leah Ward. A featured soloist in numerous Silk Road Dance Company concerts, Joanne joined SRDC in 2002; she was selected to travel to Samarkand with the ensemble in 2005 and performed at the Sharq Taronalari Festival. Other notable performances include such venues as the Embassies of Uzbekistan and Azerbaijan, the Chicago Field Museum, and the Millennium Stage. With a degree in Anthropology from the University of Maryland, Joanne narrates magazines for the Library of Congress' program for the blind and physically handicapped. Ekaterina was born in Moscow, Russia and lived in Belgium and Canada. She joined a Russian folk dance group in Toronto, Ontario at age six. After moving to the United States, she pursued her love of dance by taking lessons in various genres. Ekaterina holds an BA from the University of Toronto in International Relations and an MA from America University in International Affairs. Ekaterina also speaks Russian, French and some Spanish. She works for a DC non-profit organization which promotes democracy worldwide. In this position, she has traveled to Chile, Czech Republic, El Salvador, Indonesia, Korea and Panama. With an Iranian heritage, Shireen finds that dance is an important way to connect with and celebrate her culture. She studied various genres of dance from Latin America and the Middle East before joining Silk Road Dance Company. She appreciates the vast knowledge of the company’s director to learn not only the movements but also about the history and people from which they originate. She has traveled and performed with Silk Road Dance Company within the US and Singapore. Outside of the company, Shireen enjoys traveling the world and has studied and worked in Ecuador, Peru, and Iran. Aside from her native English, she speaks Spanish and Persian. She currently works for a nonprofit addressing environmental and social issues through economic solutions, consumer advocacy, and corporate responsibility. Melissa grew up in the U.S. exploring a variety of dance forms and musical instruments, feeling their daily impact on her quality of life from a young age. She found her musical niche in percussion and fell in love with Egyptian Raqs Sharqi on her frequent travels to Egypt. While in film school, she produced her first documentary on the societal roles and impact of Egypt’s traditional dances and the modern forms they've taken. Melissa is honored to have studied with several of the world's most renowned performers and instructors of Raqs Sharqi over the last decade. 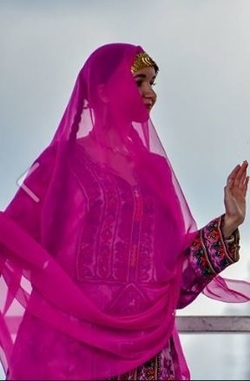 Her travels and field research throughout the Mediterranean, Middle East and Central Asia, have provided her with the cultural knowledge and understanding that enables her to share some of the dances from these regions with the most appreciative audiences. After teaching and performing in East Asia for three years, Melissa shifted her focus to Persian dance studies and returned to the U.S. Not coincidentally, she moved to the Washington D.C. metro area, home of the Silk Road Dance Company. She is very grateful to have the opportunity to study with Dr. Laurel Victoria Gray, and to have found such a culturally rich community. She continues expanding her dance knowledge and vocabulary while exploring the beauty of the Silk Road. Debra "Annalise" Pacheli, born in Washington, D.C. to German and Italian parents, studied music and theater during her early years. In 1995 she began her dance studies in Middle Eastern dance with Artemis and in 1997 joined Silk Road Dance Company. Annalise choreographed SRDC's original Khaleegy choreography. In 2011, she performed with the ensemble at Toronto's Tirgan Iranian Arts Festival. Annalise has attended all the sessions of the Central Asian Dance Camp held in the Washington DC area. In 1992, Annalise earned a degree in Early Childhood Education from Montgomery College and works as a pre-school teacher. She enjoys cooking and delights in discovering the numerous cuisines of the Middle East and Central Asia. She has catered many private parties and specializes in cake decorating. Egyptian-American dancer Ahmad Maaty is a graduate of George Mason University; he earned a MFA in Theatre and Dance from Pace University. ​Raqiset Shaabia , Hooray for Bollywood, and Bollywood Fever. 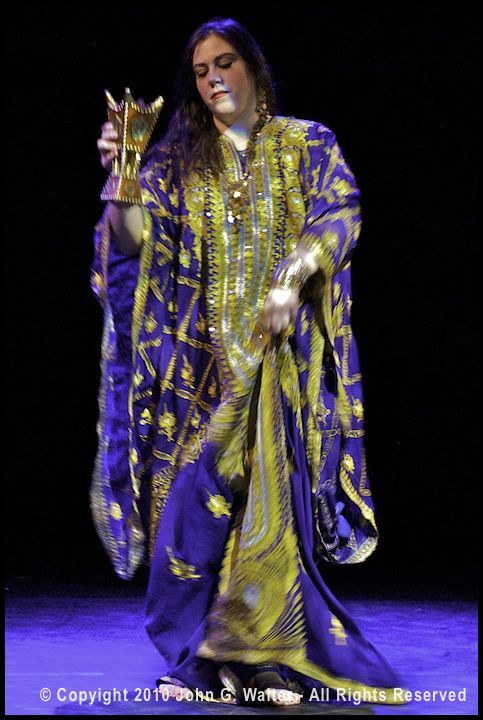 In 2011, Ahmad portrayed King Bahram Gur in Silk Road Dance Company's production if HAFT PAYKAR: SEVEN BEAUTIES. He also performed at the Uzbek Embassy for the 20th anniversary of independence. He performed with Silk Road Dance Company in Doha, Qatar for the Asia Cup. With a great memory for dance and a winning smile, Angela Brown has studied a variety of dance styles prior to joining Silk Road Dance Company. She has a particular affinity for Indian dance, both folkloric and contemporary Bollywood choreographies. In 2011, Angela performed in Qatar with Silk Road Dance Company as part of the Asia Cup celebrations and also went with SRDC to Singapore. She traveled to Toronto for the ensemble's participation in Tirgan Iranian Festival and was featured on the Toronto Now website. A native of the Caucasus mountain region, Valeriya was born in Southern Dagestan in present-day Russia. She is of Judeo-Tat heritage, a small community of Jews who speak an Iranian language native to Azerbaijan and the surrounding area. Valeriya has danced for most of her life, ranging from ballet to jazz to family parties. Joining Silk Road Dance Company has helped her reconnect with her Eastern roots and learn about surrounding cultures as well. Valeriya is the Program and Education Assistant at the Maryland branch of Young Audiences/Arts for Learning and the Community Outreach Fellow at the Sephardic Heritage in DC (SHIN-DC). She has also worked for Creative Alliance at the Patterson and the Baltimore Museum of Industry. Valeriya has written articles for the online publication, REORIENT Magazine. She has a Bachelor of Arts from the University of Maryland, Baltimore County (UMBC). Valeriya is also an amateur pianist and volunteers at the Baltimore Museum of Art. Dragomir made his premiere performance with Silk Road Dance Company in the 2006 production of The Golden Road to Samarkand. He immediately became a favorite of our young audiences and performed for Nowruz concerts at the Philadelphia Museum of Art. Dragomir also traveled to NYC to appear at the Asia Society with Silk Road Dance Company. He has performed twice at the Textile Museum in Washington, D.C.
Cindy Connelly Ryan joined Silk Road Dance Company in June 1999. She has a background in folk dance, ballet, and modern dance. She initially studied dance with Turkish-trained dancer Rayah bint Youssef in Pennsylvania. After moving to the Washington, D.C. area in 1995, Cindy continued her study of Middle Eastern Dance with leading instructors. Ongoing studies of Uzbek, Persian, and Turkish dance have taken her to Turkey and Uzbekistan. She regularly attends the annual Central Asian Dance Camps with Qizlarhon Dusmuhamedova. An accomplished percussionist, Cindy has studied drumming technique with Uzbek, Turkish, and US drummers. In 1996, Cindy earned a Master's Degree in Art History/Art Conservation from the New York University Institute of Fine Arts. She works as a manuscript conservator at the Library of Congress, with a special expertise in the treatment of Persian miniature paintings and calligraphy. Of Kurdish heritage, Keylan has felt the urge to move to music throughout her entire life. From elementary through high school, Keylan improvised and choreographed pieces for family audiences, and studied ballet and jazz dance. In college she explored Medieval dance, international folk dance, and ballroom dance. In 1993, Keylan began to study “raqs sharqi." Soon after, she began learning Persian and other dance styles with creative genius Laurel Victoria Gray, as part of Silk Road Dance Company (SRDC). She was a principal dancer with SRDC for 10 years, as well as founding member and Assistant Director. With SRDC she performed at venues such as the Kennedy Center and the Warner Bros. Studios in Burbank, CA. An accomplished web designer and gifted writer, Keylan's skills helped shape the culture of Silk Road Dance Company. She developed the company handbook and crafted SRDC's oft-imitated mission statement: Cultural Understanding through Beauty and Delight. Julie Tharrett discovered an early passion for music and movement. Throughout childhood she trained as an athlete, equestrian, and a concert flautist and choral a capella singer. While at Alfred University, where she earned her BA in Communication Studies, she studied many forms of dance, including Arabic folkloric, classical and fusion styles, leading the Middle Eastern Dance Organization. 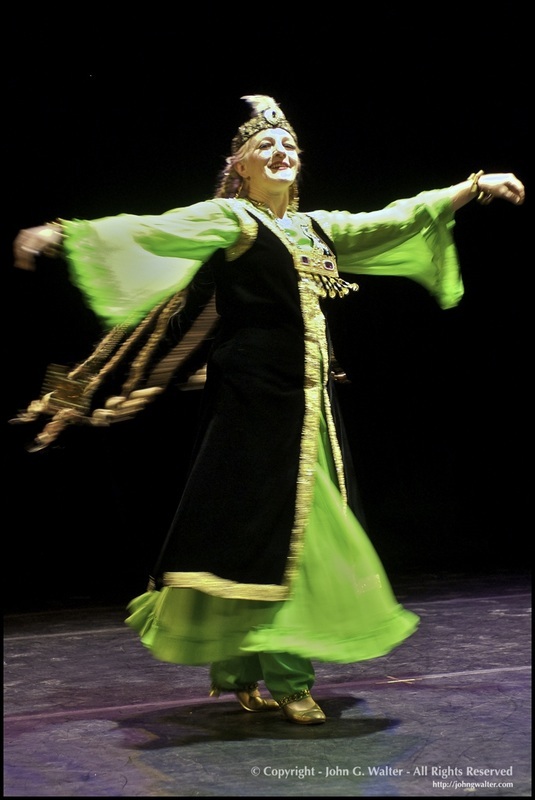 Julie has continued her studies of Middle Eastern dance with nationally recognized instructors. 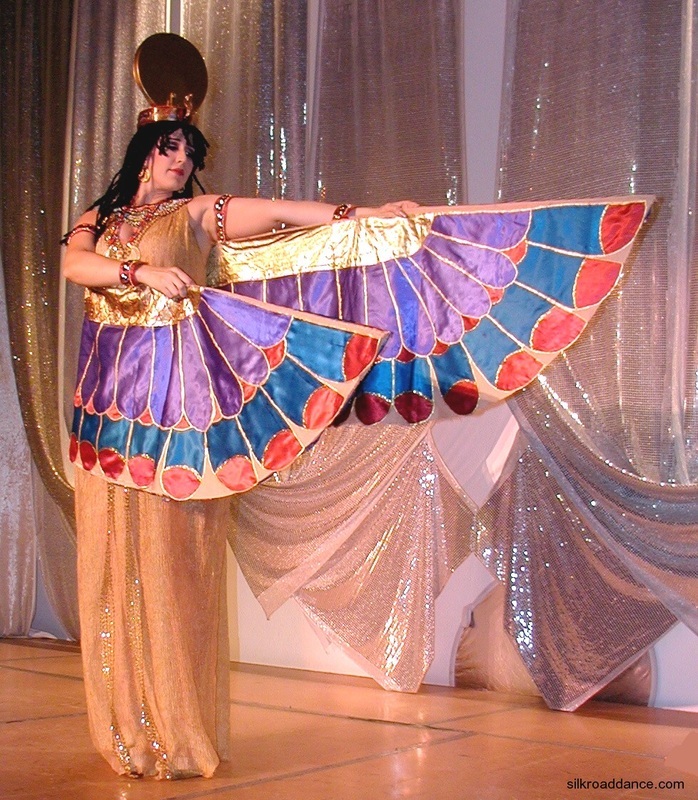 Under the stage name Asala, she performs classical Egyptian Raqs Sharqi throughout the Metro DC area. Julie is a certified massage therapist. She currently attends language classes in Modern Standard Arabic. Sarah Solomon began her dance training at a very young age with tap and ballet lessons. She competed for many years as an internationally-ranked figure skater, and enjoyed many successes in ice dance, including a National Championship in 2002 at the novice level. She began her study of Central Asian and Middle Eastern dance in 2004, and joined Silk Road Dance Company shortly thereafter. Sarah has also studied many other dance styles, including ballroom dance and flamenco. In 2008, Sarah received her B.A. from University of Maryland with a double major in Russian and Linguistics, and is a member of Phi Beta Kappa Honor Society as well as a recipient of a 2008 Critical Language Scholarship from the State Department. She has enriched her dance and professional experiences with numerous travels to Russia, Turkmenistan, Tajikistan and Uzbekistan. A native of Kazakhstan with Russian and Azerbaijani heritage, Inessa began singing, dancing, and performing at a young age. She studied classical dance, as well as Russian and Kazakh folk dances for 7 years. She was also trained in raqs sharqi, ballroom dance, and hip hop. Inessa's love of the arts also encompasses music. She took piano lessons for 7 years and was a free-lance singer and performer for 5 years. Inessa joined SRDC in February of 2009. Inessa lived most of her life in Kazakhstan and has traveled frequently to Russia (Ural) and Azerbaijan; she moved to the USA in 2007. She obtained a Bachelor's Degree in Economics from the University of Maryland in 2009. Khatoon Sabouri-Melick was born and raised in Iran where she studied dance for 10 years with a leading teacher, Haydeh Kishipour. She joined Silk Road Dance Company in 2008 and most recently traveled to Toronto, Canada, with the ensemble to perform at Tirgan, the world's largest Iranian Festival. Audrey Ichida studied ballet for 12 years and began studying Middle Eastern dance in 1999. She joined Silk Road Dance Company in 2001, performing with the ensemble that year in their first appearance at the Kennedy Center. In 1996, Audrey earned a Ph.D from the University of California San Diego. She did doctoral work in plant molecular biology and electrophysiology and post-doctoral work in plant cell biology. Audrey is currently a consultant with ICF International working on risk assessment, environmental microbiology, and biotechnology projects. Audrey is a Level I certified dancer with The Suhaila Salimpour School of Dance, Albany, CA. Born in Lviv, Ukraine, Angela has studied both ballet and traditional Ukrainiain dance. She received her BA from DePauw University; her area of study was International Affairs, with concentrations in Political Science and French. Iman is an Iranian-American of Khuzestani origin. She has lived in Shiraz, Iran, but has received most of her education here in the United States. 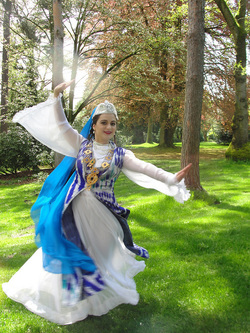 She has been dancing since childhood and continues to use the art of the various forms of Persian dance as a bridge connecting her to Iranian culture. After joining the Silk Road Dance Company, she has also come to appreciate the beauty and cultural relevance of many of the other styles of the Silk Road repertoire. Iman graduated from George Washington University, majoring in Middle Eastern Studies and Religion. She speaks Persian, French, and Arabic. Her language and dance studies have taken her to Morocco, Egypt, Syria and India. 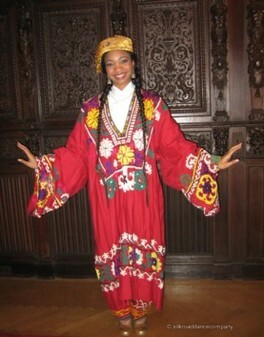 Iman traveled to Qatar and Canada with Silk Road Dance Company in 2011.